A fan characters topic? Ooh! There are two ways to upload an image on the site: Both of which requires a URL link to the image. You can either click on the tool in your tool box on the top of the reply screen that looks the picture of a tree, and paste the link there, or you can simply put the link between the "" tags. Either way should get the same result. The same rule apply to the "
" tag. Open without the "/" in the beginning, and close with the "/" in the beginning. Fan Characters.... Whew, since coming here I've made several for the RP games here. Some of whom I've drawn. And... do alternate versions of existing characters count? Cause I've made sooooooo many variants of Skye Prower (see my avatar for one example!) Though, so far I haven't created a definitive Fan Character to use. 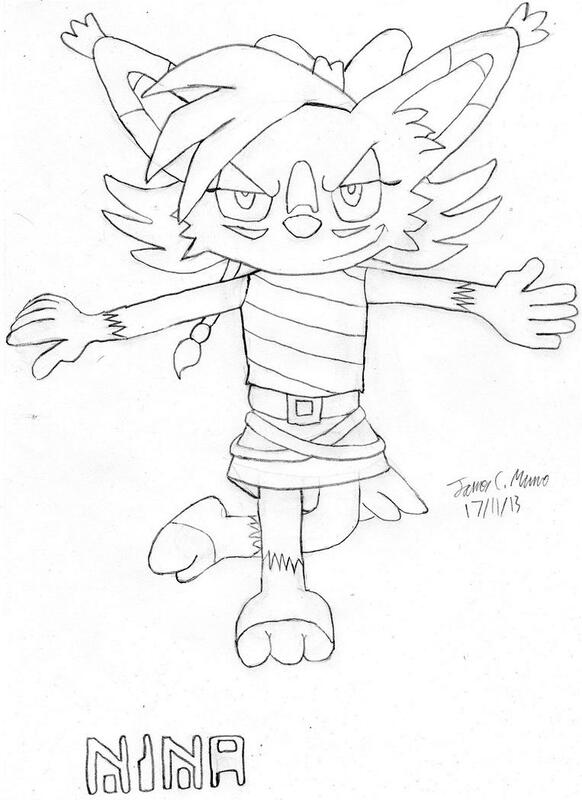 Stacey: Similar to Dylan's character above (they share a backstory), he's a Lynx from the Dragon Kingdom, who lives elsewhere. Zoe: Ditto, only she's a bat from the Yaygu clan. 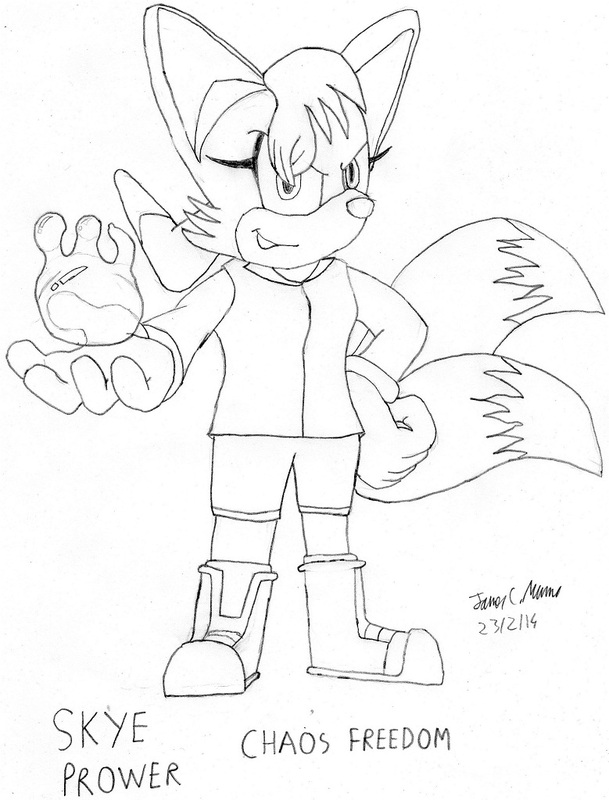 And Zone Cop version of Fiona Fox and Bark, and Moebius versions of Skye, Melody (two actually) and Mina. Dygo and Mel Wolf: Alternate versions of Skye and Melody after time got seriously mess up. 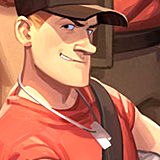 Dygo has a pic. Nina: A Mobian looking robot whose AI was created from a fusion of Nicole and Fiona. (NIcole/fioNA) She's also got a pic. Malcolm Drax: A legionised Pine martin. 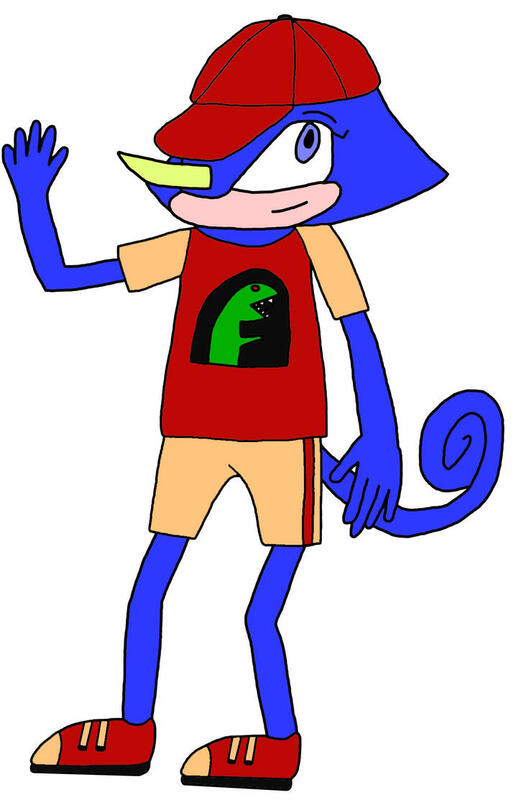 The first Fan character I created for Sonic. Skye Prower: Same name, but VERY different character. She would be, having Marine for a mother. I wasn't shipping the two, it came from a 'OMG, that would be funny' talk with a friend. And yep, there's a pic. Marley Prower: The younger brother. And yeah, another pic. And there's several more too, but that's enough for now! 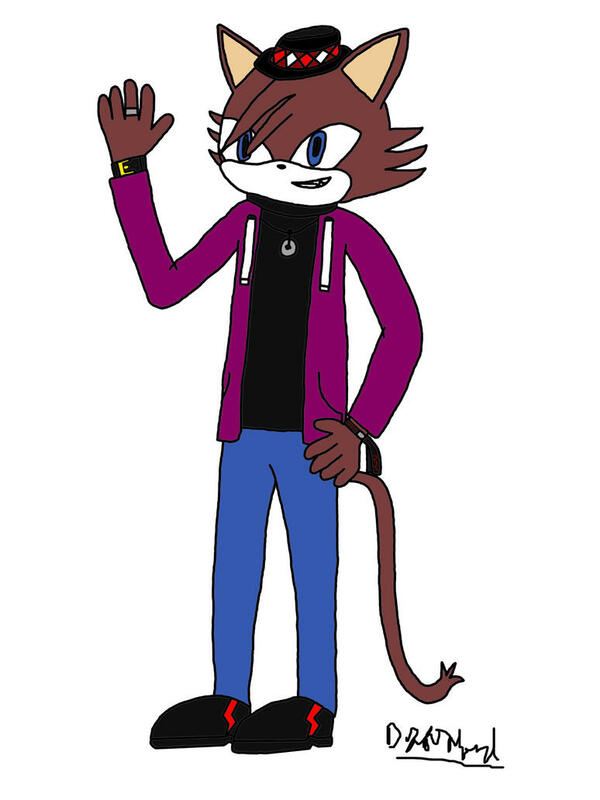 here's one of my OC's for Kingdom Hearts (as a Mobian cause I can't draw humans at all.... so I just draw them easily as Mobian's and sometimes even normal anime characters too) Here's Navix! Oh gosh now I have to dig mine up... I don't have any drawings of them on hand though... Time to whip some up. 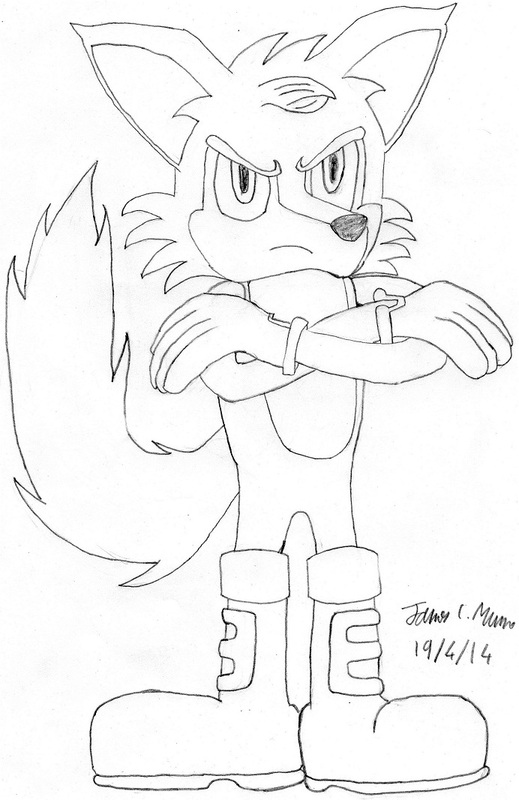 Ryan the Fox, Ruki the Cat, Ix the Rat, and [DATA EXPUNGED] the Hedgehog. Ryan and Ruki are Freedom Fighters that escaped Roboticization. Ix is a GUN soldier who wasn't so lucky, but managed to regain free will. [DATABASE ERROR] is my first ever OC from when I was like, ten. I am ashamed of all of them. eh... I just thought it might've been easier to just explain it here... ^_^'' sorry..
oh my god you know Bonnie? O_O and yeah it does look like him o-o halp. once again one of my OC's Mars The Rabbit! Eheheheh. Just give Ix a bow tie, he'll fit the part. 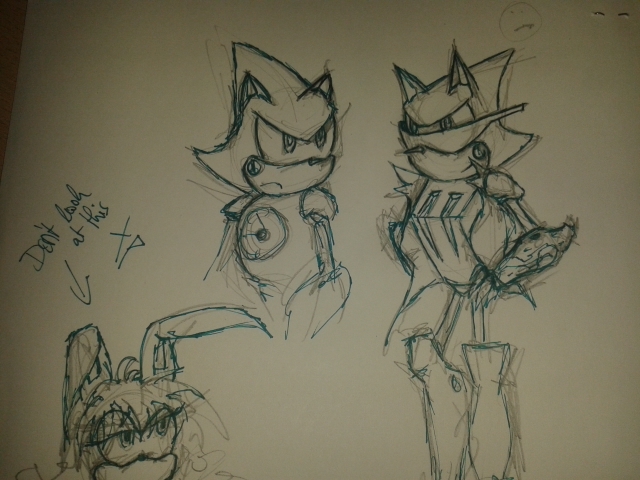 Well my characters I played in some RPGs or used them in some fancfictions were Metal Sonic and Metal Scouge. 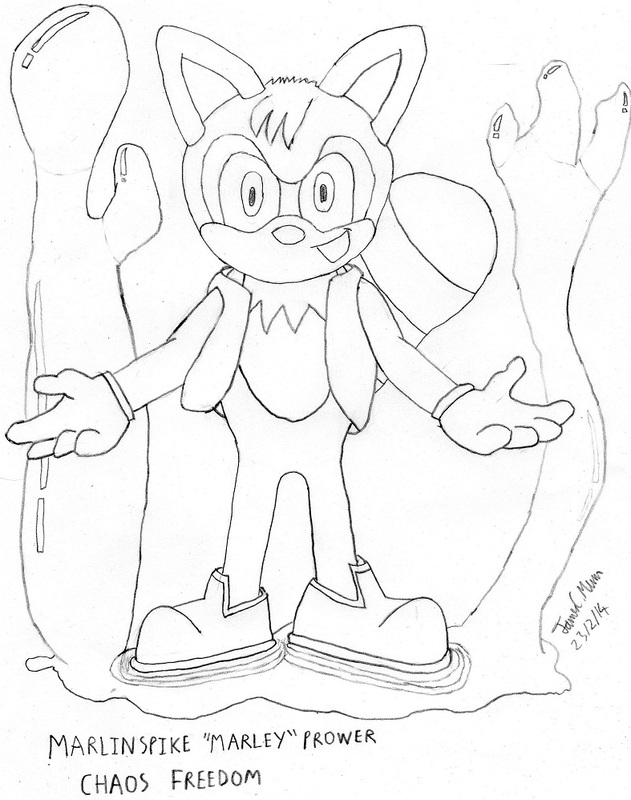 Yeah you might say that these are characters from SEGA and the Archie Comics, but I just took their personalities and expand them. I don't say that these are my fan-characters, I just tried to make more out of these bots, because SEGA and the Archie Comics didn't do a lot with these guys. They are more like all other robots who will loose against Sonic with an old Spin Dash. They can do more with them, like they had done this with Shard the Metal Sonic (SU Saga with the Secret Freedom Fighters).